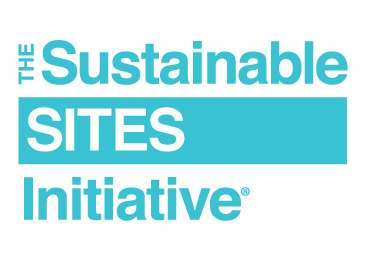 Stay connected, and learn more about SITES at one of our upcoming events. We spend 90 percent of our lives indoors, yet we’re discovering how being in nature has significant benefits for human health and well-being. A growing body of literature links nature to numerous physical and physiological health benefits. Research shows, for example, that for both adults and children, encounters with everyday nature—a green view from an office window, a lunchtime stroll through well-tended landscapes around schools or offices—restore the ability to concentrate, calm feelings of anxiety, and reduce aggression. In addition, views of natural settings reduce the number of sick days taken by office workers and decrease hospital patient recovery time. This session will describe how the SITES Rating System incorporates biophilic design to optimize these benefits. Danielle Pieranunzi, SITES Program Manager, Green Business Certification Inc. There is a growing necessity of using landscape performance to quantify the sustainability benefits of landscape architecture. This session presents methods that every landscape architect or design firm can use to assess multiple aspects of site performance, starting with data sampling basics and including metrics used towards attaining SITES certification. The shifting focus in China towards more urban redevelopment and improvements to environmental quality over sprawl provides unpreceded opportunities for the Sustainable SITES Initiative (SITES). Through an overall market analysis and case studies, this session offers various perspectives on how to achieve SITES certification in China projects. Dou Zhang, Director of Sasaki Shanghai Office, Sasaki Associates, Inc.